The Wearable Technology Show is set to return to the ExCeL in London next month, and there's an all-star cast of new devices set to be unveiled. Among the 200 speakers and exhibitors will be new launches from MyZONE and Epson and UK unveilings of Hexoskin, the Mio Slice and its PAI heart health scoring system and Vuzix smart eyewear. Other UK unveilings will include GPS dog tracking wearable PitPatPet, Gait Up fall prevention sensor, Biotemp child temperature detecting device and Spartan, a pair of fertility sensing boxer shorts. 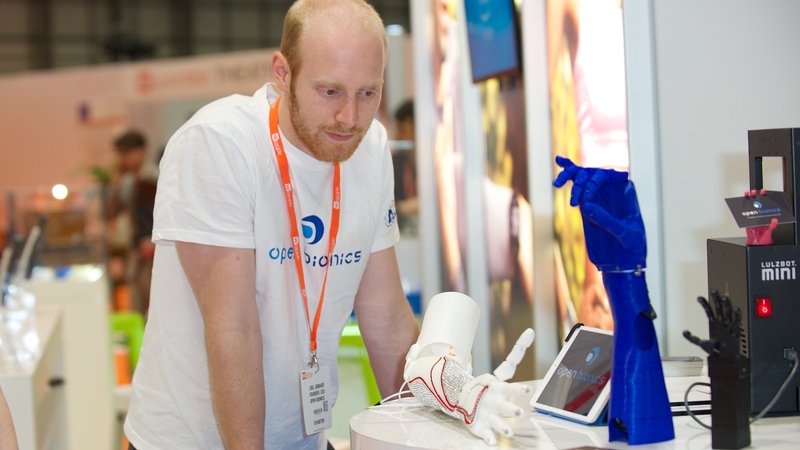 This year the show is set to put medical tech centre stage, with talks hosted by representatives from the Royal Society of Medicine and Glaxo Smith Kline. Xensio, a new wearable capable of tracking biochemical data at the surface of the skin, will also be shown off at the show, which could spearhead new advances in medical wearables. Wareable is an official media partner of the show and will be moderating and hosting panel discussions at the 2016 event, as well as reporting from the show floor. To attend you can purchase day passes at wearabletechnologyshow.net.